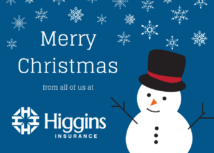 Merry Christmas from all of us at Higgins Insurance! We will be closed Monday, December 24, and Tuesday, December 25. We will reopen on Wednesday, December 26. We want to wish you all a happy and safe holiday season. We will be closed tomorrow, November 22, and Friday, November 23. 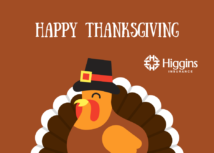 Have a Happy Thanksgiving from all of us at Higgins! 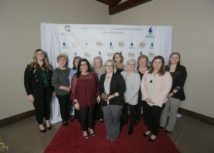 We would like to express our sincere appreciation and thanks to the Chamber of Commerce for recognizing Higgins Insurance with the Quality Service Award. We are truly humbled and honored to receive it. This wouldn’t be possible without the valued support of our Clients.